Flying into Seattle on Christmas Day was probably not a great idea because nothing was opened when I landed around 5pm. 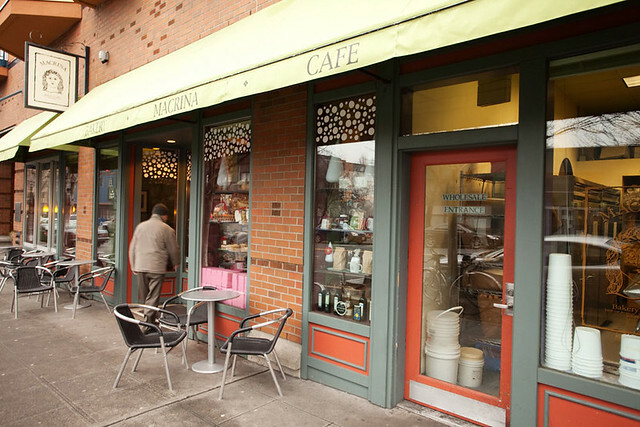 I had always wanted to visit Seattle again to sort of explore more than just the downtown area. Last time I was there it was 2006 and with a group of friends. We did most of the touristy things like going to the Space Needle and visiting the 1st Starbucks at Pike Place. So Christmas Day in Seattle. It was rainy, gloomy and quiet. I stayed at the Ace Hotel, $99 per night but shared bathrooms with the rest of the guests plus complimentary breakfast and Stumptown coffee. Ace Hotel was a good few blocks away from Pike Place so I was away from any tourists crap but close enough. 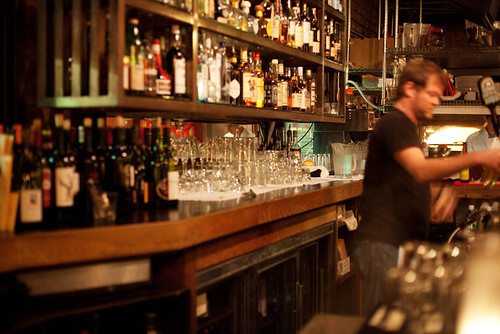 It was also surrounded by a bunch of great local bars and hang-outs. I didn’t really care what dinner was, I just wanted to buy something and bring it back to the hotel since I was pooped. Walked around 1st Ave, Pike St, Pine St, 2nd Ave for about 45mins. It came down to either Subway or Chinese food. Chinese food it is! I ordered sesame chicken ($8.95), potstickers ($5.95) and a side of rice ($1.25). 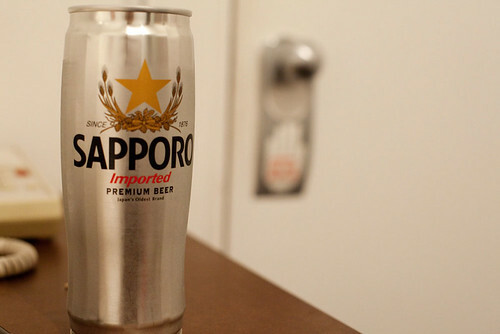 On my way back to the hotel I stopped at a small grocery place and got a giant can of Sapporo. Made it back to my hotel room, laid out all the boxes and turned on the tv. The potstickers, surprisingly, were pretty good. They used the thin skin wrappers which I prefer and were nice and crispy. The sesame chicken tasted and looked more like orange chicken. 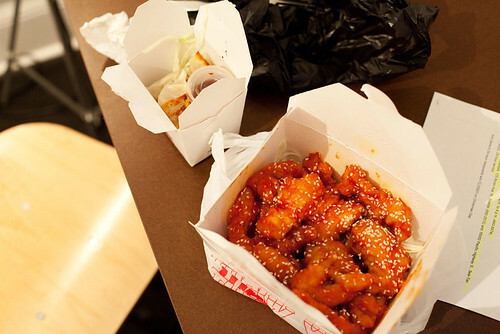 $9 worth of sesame chicken was not meant for 1 person to eat, oh no. In the end I had leftover sesame or orange chicken in the box and half a can of Sapporo left. While walking back to the hotel with my Chinese take-outs, the night before, I walked by this place. The logo caught my eye and thought I should find more info about this place. So I did. They received mainly good reviews and was right across from the hotel so I had to check them out. Running on East coast time had it perks. I was able to get up around 7am, drank a cup of coffee, took my shower and went to brunch by 9:30am. 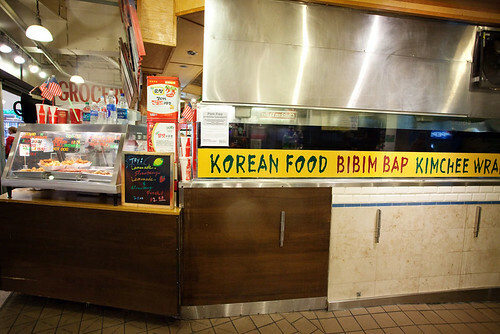 If you do decide to go here, make sure the 1st thing you do is to put your name down on the clip board by the door instead of waiting for the waiter. At 9:30am this place was packed already. Luckily I was by myself and took the few remaining seats at the counter. 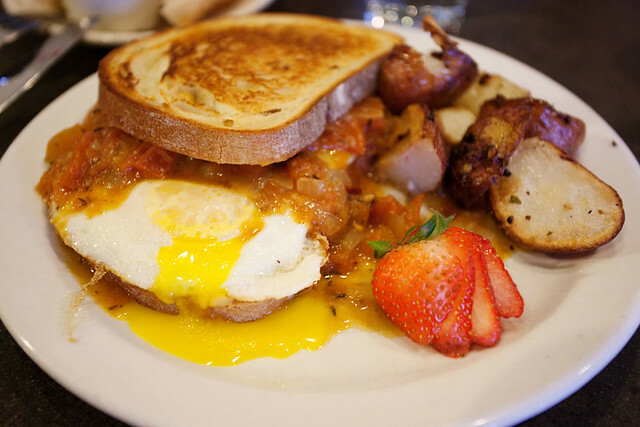 I ordered the Marina fried egg sandwich “eggs fried over-medium and topped with spicy tomato sauce, muenster cheese, roasted onions and Dijon on grilled potato bread. Served with herb roasted potatoes”. 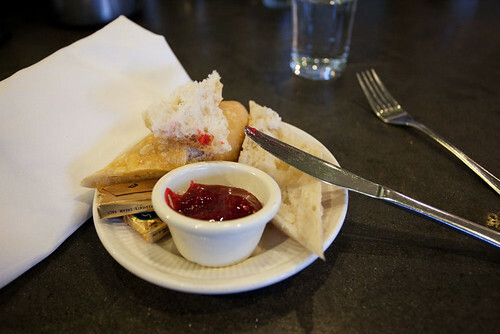 Sitting at the counter and eating bread with strawberry jam, which was quite delicious, made me realized that I was looking at the only kitchen area. 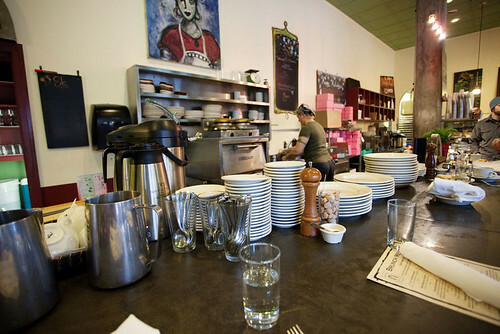 The girl behind the counter was the only person cooking. Her moves around the tiny narrow cooking area was smooth and efficient. Quickly churning out 1 dish after another. After waiting a short while, my brunch came and oh my did it look delicious. Yeah this was a good way to start off the morning. The eggs were perfectly runny still, the cheese gave the sandwich a nice cheesy taste and the potatoes were roasted just right with just the right amount of rosemary. The salsa gave the sandwich a nice tomato and fresh taste. It was 10am and I was FULL. That sandwich was no joke. After brunch I decided to walk around, to walk off the sandwich and to snap some photos. 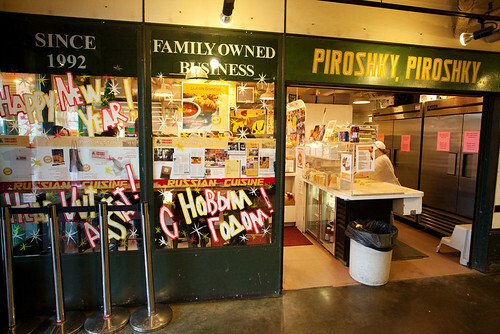 I found my way to Piroshky Piroshky at Pike Place. They made these giant sweet and savory pastry things, it smelled wonderful just walking by it. The line was out the door but it moved quickly. I got an apple cinnamon. Looked real pretty eh? 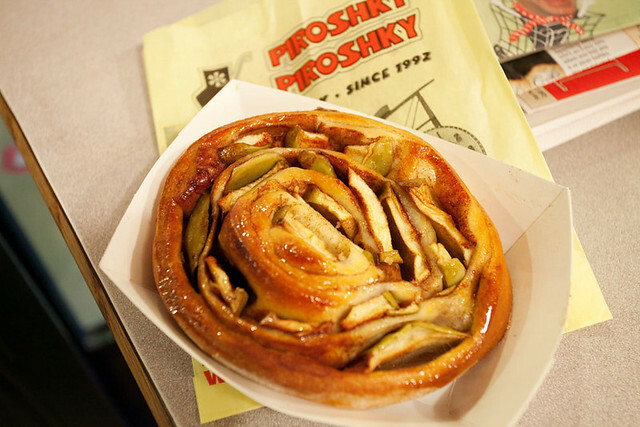 The piroshky was good. 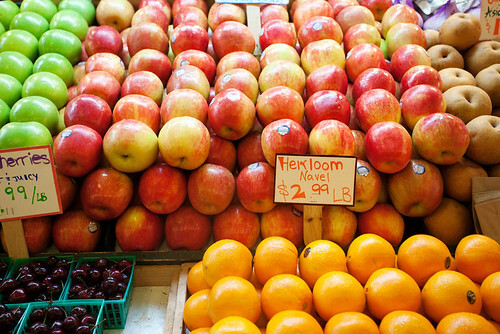 Hard to beat a cinnamon and apples combo but I wished they had heated it up. The pastry was cold and slightly stale. 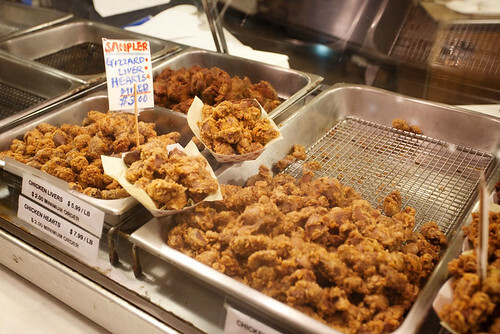 I walked around Pike Place, there sure were a lot of fried foods. Then it was back to the hotel for a quick nap. Before my Seattle trip I was craving for Japanese non-sushi food. I had no idea why but I did. I had found Samurai Noodle on many sites comparing different ramen shops and they seem to have always come out on top. 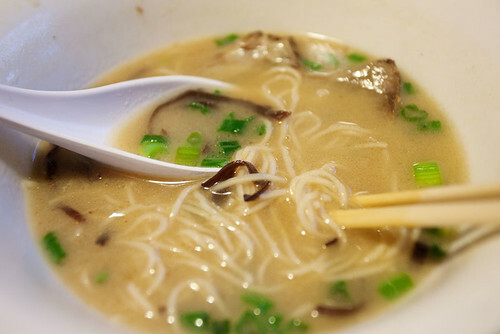 1 of the Samurai Noodle was located in the International District/Chinatown which was about 1.6mile away from the hotel. Time for a walk! Not surprisingly it was sprinkly during my whole walk down to Chinatown. It was a nice walk and I came upon a group of carolers caroling around a Christmas tree. Nice. Actually I wasn’t sure if the place would be open or not since most of the places near/around Pike Place were still closed. Luckily it wasn’t! Though my plan b would’ve just been a quick lunch at Uwajimaya Village next door to Samurai Noodle. I walked into a packed house. The deal here is if there’s a waiting line for tables, you place your order 1st and wait. That’s their way of “putting your name down with the hostess”. I waited a good 10mins, their turn around time was great. Shortly after, my steamy bowl of tonkotsu ramen landed on my table. It looked delicious. The ramen was a bit chewy, could’ve used another minute or so in the cooking water. The ingredients were pretty much standards, a slice of tender pork and mushroom. I think the star was the broth. 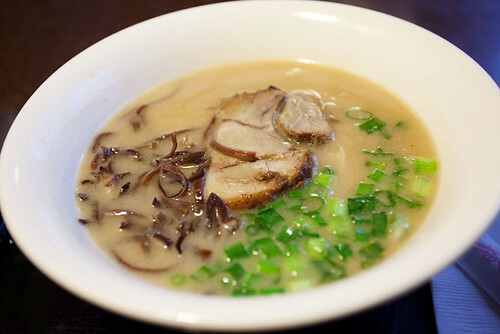 Really good with rich flavors and for about $7 it’s going to be hard for me to pay $15, on average, for ramen in NYC. 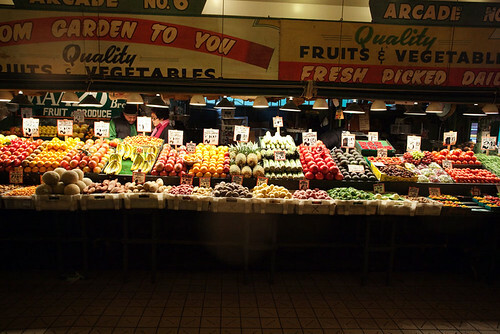 I love going to Mitsuwa, which Uwaijimaya Village was like, because I can shop for anything Japanese plus the food court. Uwaijimaya Village was way more than just a Japanese supermarket, it was an all Asian supermarket. They sold Chinese products, Japanese, Korean, Thai…etc. 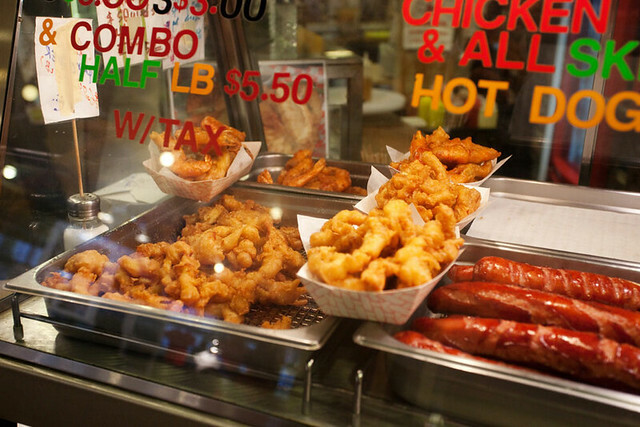 At the food court you can get Thai food, Beard Papas, Chinese food, Korean food…etc. Inside the market I found whole teriyaki chicken for sale. Crazy! After visiting Chinatown I was on my way back up to downtown for a visit to the Seattle Art Museum where the Picasso exhibit was being held. 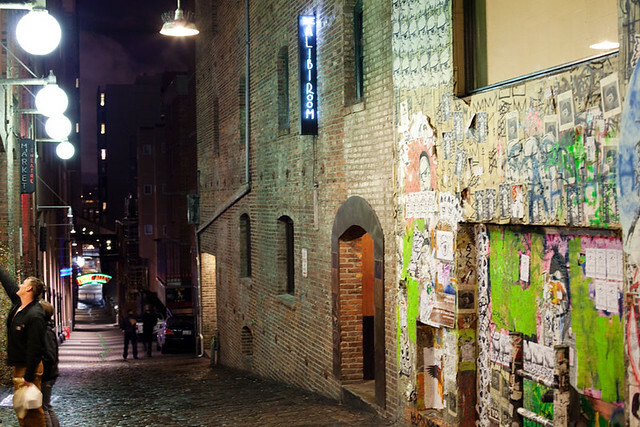 BUT while at Pioneer Square I saw a sign for Sake Nomi’s sake tasting. Why not?! The sake shop plus bar had a low ceiling and was cozy. Johnnie, the owner, knows his stuff and offered 5 great tastings for $5. Got to the museum around 4:30pm but they told me the next earliest showing of the Picasso exhibit was at 6pm. Hm…time to kill. SEA was right across Pike Place so I decided to go find myself a nice bar to get a drink or 2. Post was perfect for a late afternoon low key drink. It was dimly lid, quiet and not crowded at all. I sat at the bar and had 2 Spaten beers. I like to point out that it was probably a great idea to see a Picasso exhibit while slightly drunk. It was perfect! 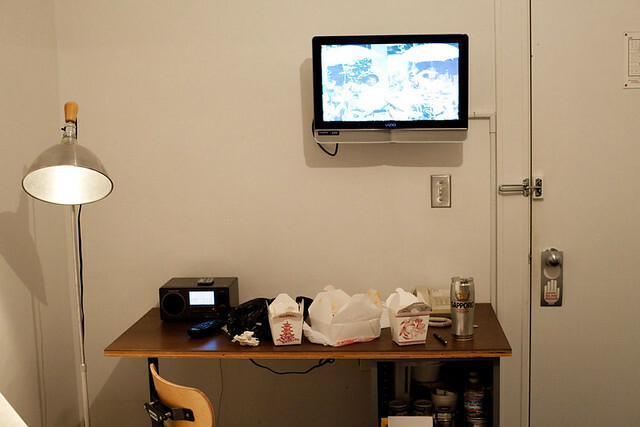 I had found Alibi Room the 1st night while I was searching for bars on the internet. So the address for the Alibi Room was 85 Pike St #410. I was not able to find it. I walked back and forth at the intersection of Pike St and 1st Ave then finally I saw this little road that went downstairs and had a neon arrow pointing to a movie theater. I followed the arrow and HEY right across to the movie theater was the Alibi Room. You gotta know where to find this bar to find this bar. The bar was dark except for couple spotlights in the table area and the lights at the bar. I sat at the bar again and asked for the food menu. I ordered a Hale’s Wee Heavy Winter ale and the Pizza con Carne, a meat lover pizza with pepperoni, spicy sausage and salami. 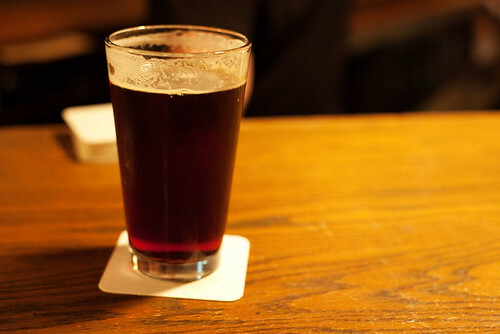 The beer was great, I drank 2 pints of it, I really like dark beers. I was a little sad about the pizza. It looked delicious and was topped with loads of meat but it was kind of bland. 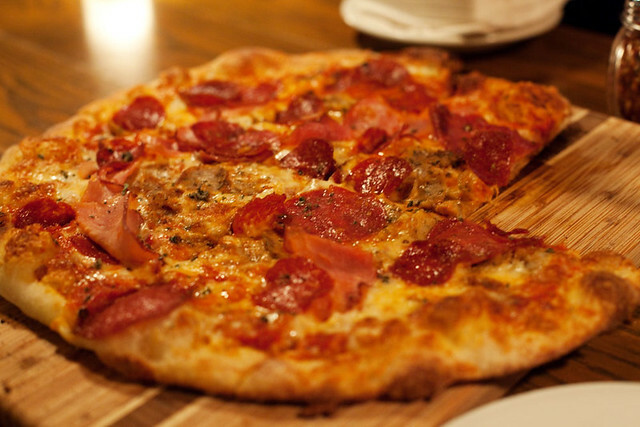 The pizza was definitely an above average bar pizza and the crust was great. Thin and crispy. That was sort of an epic day 1 in Seattle. I didn’t feel hungry for 1 second during that whole day.